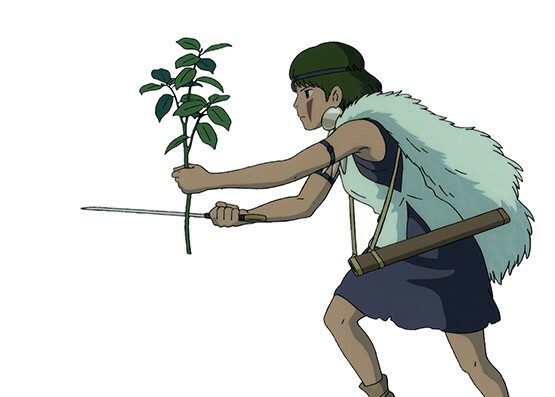 San cutting a tree sprig to summon the Forest God to heal Ashitaka, who's mostly dead at this point in the proceedings. I really like this image, for some reason it feels especially "Japanese" to me. 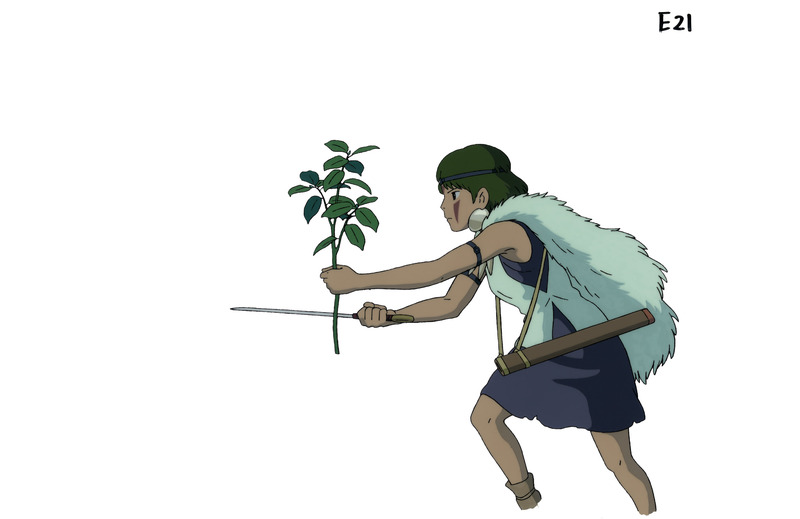 Notice that she's using Ashitaka's square-ended sword to cut the sapling.